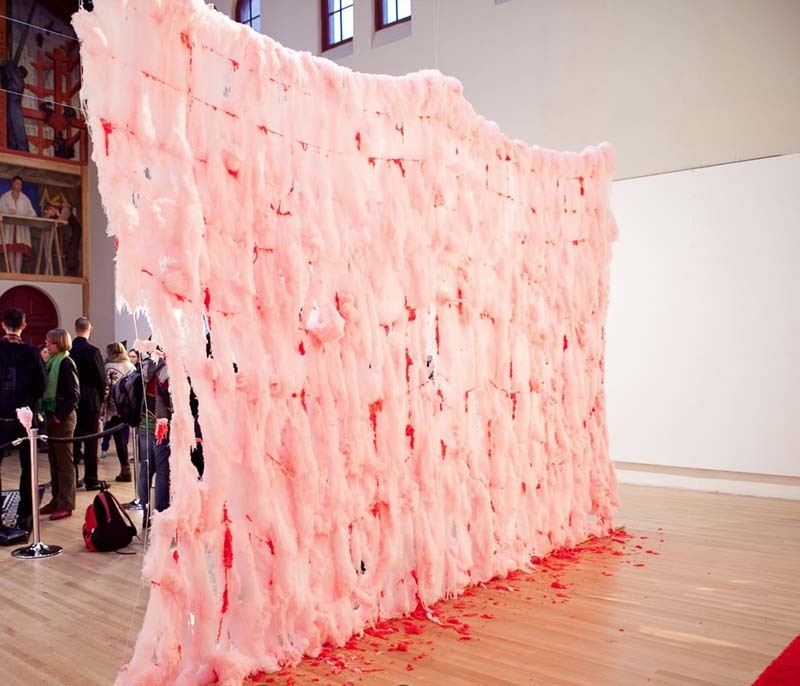 If I liked cotton candy this would make me especially happy but, even without being a fan of the sugary substance, this zany interactive art installation by Finnish artist Erno-Erik Raitanen made me smile. 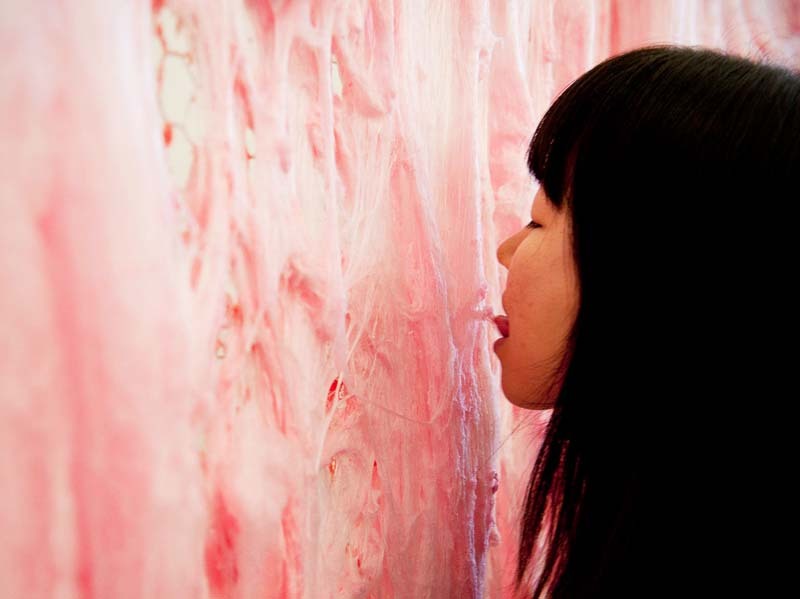 Cotton Candy Works are a series of site-specific ephemeral cotton candy installations that engage all the senses. Each sculpture only lasts a few hours before the sugar reverts to its original crystal form. Not sure if the bag at the bottom is an opening night party favor or the way the artwork is packaged and sold. Either way it’s a fun idea. You might also want to check out Raitanen’s Bacteriograms as well, where the artist cultivates bacteria samples on photographic film resulting in amazingly colorful results. You can see Raitanen creating one of his Cotton Candy Works in the video below. This entry was posted in Art, Food, Fun, Just Plain Cool, Stuff We Like. Bookmark the permalink.